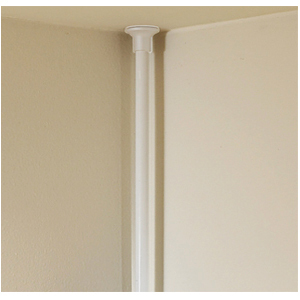 Sanitary - Each shelf is designed with a several holes underneath to prevent any water collects. 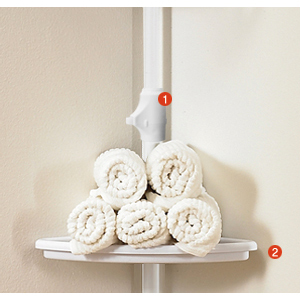 Safety - Double locking system, with rubber ring and safety bolt makes each shelf be placed firmly. Rust Resistance - Powder coating for steel pipes reduce rust and discoloration. 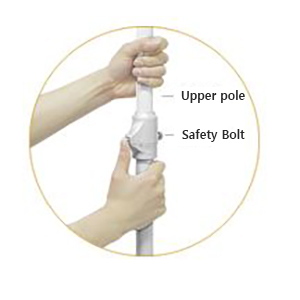 The One Touch system can help to assemble the pole very easy and safe. 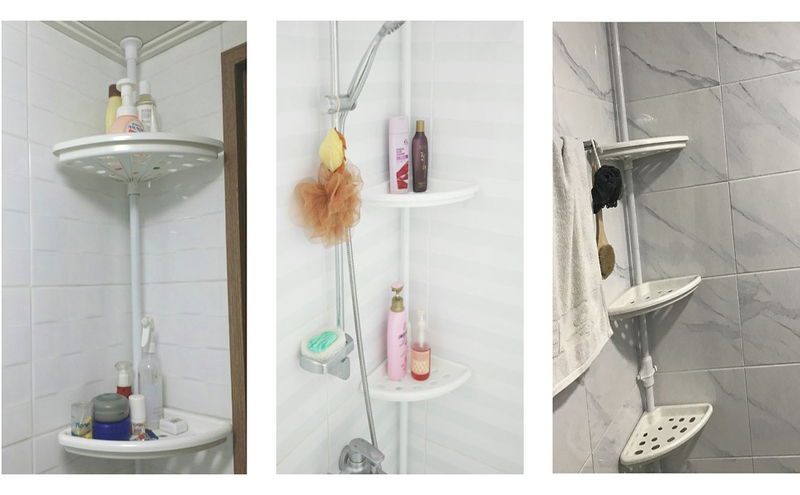 Product can be used in every corner such as shower room corner, bathtub corner, washbasin corner, and Etc. Rubber pad can prevent ceiling and floor from any damage.